PoultryStar® is a well-defined, multi-strain Direct Fed Microbial (DFM) for poultry, and contains live, viable, naturally occurring microorganism (probiotics) which are categorized and classified as Generally Recognized As Safe (GRAS). PoultryStar® was developed in the course of a multinational reseach project partially funded by the European Union. In the course of the project numerous intestinal bacteria were isolated out of the gut of several healthy chickens and thoroughly characterized combining morphological, physiological and genotypic methods. 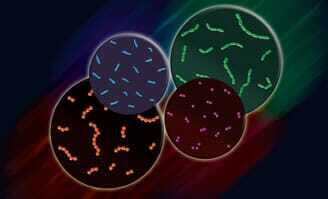 The most promising strains were evaluated for important probiotic criteria such as adhesion capability to intestinal cell lines, inhibition of pathogens, (e.g. S. enteritidis, S. typhimurium, S. choleraesuis, C. jejuni, E. coli and Cl. perfringens), immunological activity, range of metabolic end products like Volatile Fatty Acids (VFA), fermentation performance, stability against acids and bile salts, storage stability and safety status. Based on these results a synbiotic product consisting of strains belonging to the genera Enterococcus, Pediococcus, Lactobacillus, Bifidobacterium and prebiotic fructooligosaccharides has been developed. The probiotic strains (Direct-Fed Microorganisms) developed and patented by BIOMIN were thoroughly investigated in our laboratories and selected due to their probiotic features and their ability to maintain a healthy gut microbial population under challenging environmental conditions. The strains were isolated out of the gut of healthy chickens thus providing a rationale for their safe and efficient use as a feed additive for poultry. The fructooligosaccharides are derived from a natural plant source of the family [compositeae] (Cichorium intybus) and were tested in our laboratories for their ability to selectively stimulate the growth of beneficial Bifidobacteria in the large intestine. The efficacy of PoultryStar® in improving performance parameters and reducing Salmonella in poultry has been confirmed in several feeding trials. In this Newsletter results of 2 recently conducted feeding trials are presented. A trial was conducted at the Department of Poultry Science, Texas A&M University, USA. The aim of the trial was to investigate the effects of PoultryStar® on growth parameters of broiler chickens. The trial was conducted with straight-run, day-old broiler chicks (Cobb x Cobb) with 470 birds per treatment group and 10 replicates per group (one-way ANOVA base experimental design). Birds were reared on the floor for the full grow out period and placed on litter consisting of half used litter from a commercial broiler house and half fresh pine shavings. The ration fed to broilers in both trials was a standard corn-soy ration fed in a four diet feeding program (starter, grower, finisher, and withdrawal) that met exceeded NRC requirements. 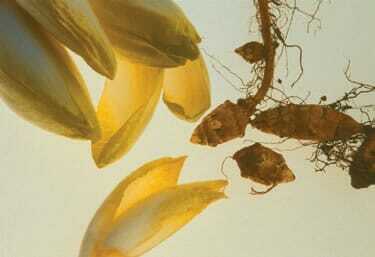 All diets fed were non-medicated feed and water was provided to all broilers ad libitum. Drinking water application of the product was by a medicator system in place within the grow-out house. The birds were kept under observation and performance parameters like live weight, body weight gain, feed intake, feed conversion ratio (FCR), mortality were determined at day 15, 30 and 40. 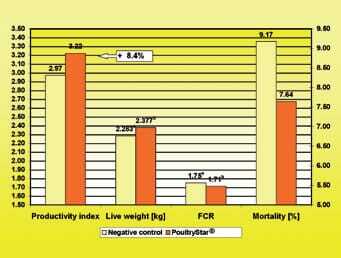 Broilers receiving PoultryStar® performed better in terms of body weight gain and feed conversion as compared to broilers in the control group. Specifically, body weights were significantly higher (P<0.05) on days 15, 30 and 40 when compared to the control group. Similarly, feed conversion was significantly improved (P<0.05) in broilers receiving PoultryStar® between days 1 and 40 when compared to broilers in the control group. Mortality was reduced in the trial group as well. Through the inclusion of PoultryStar® the broiler productivity index which summarizes all performance data was improved by 8.4%. The results of the trial show that PoultryStar® is effective in improving broiler performance. A feeding trial was conducted at the School of Agricultural and Veterinary Sciences, Department of Veterinary Pathology, Sao Paulo State University, Brazil. The objective of the study was to assess the efficacy of PoultryStar® to control intestinal colonization of chickens by Salmonella enteritidis. One-day old Cobb broiler chicks were provided by a commercial hatchery. At the moment of arrival they were inspected to ensure they were free of Salmonella. The birds were randomly assigned to the treatment groups (18 birds per group with 2 replicates) and reared in cages at isolation units. Food and water were given ad libitum. Birds were orally inoculated at age of 3 days with 0.1 ml Salmonella enteritidis (SE Nal/Spec) culture containing 1.0 x 106 CFU/ml. At day 5, 7 and 10 three birds out of each group were sacrificed and their cecal contents were cultured for Salmonella enteritidis. The results are presented in Table 2 and Figure 2. 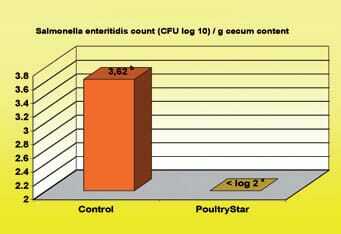 Through the treatment with PoultryStar® the average number of Salmonella enteritidis in the cecal content of challenged birds was significantly reduced (below the countable limit) compared to the chicks of the control group. Through the results of this trial it can be stated that PoultryStar® is an effective method for reducing Salmonella infection in poultry.